Recruiter has a controlled circulation of over 16,000 plus individual and corporate REC members and reaches more recruitment professionals than the second and third-placed publications in the market combined. 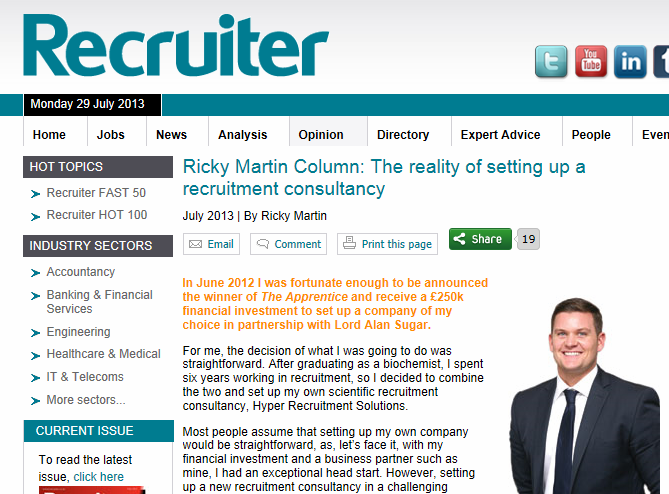 As of July 2013 I will be writing a monthly column to discuss current topics of interests relating to the recruitment industry and this month, the topic is about The reality of setting up a recruitment consultancy. In short many people assume that setting up a business is a clear cut process, however in reality this is not the case. My first article will give you a quick snap shot as to why even though having worked for six years in recruitment, setting up my own consultancy was an entirely different experience. Configuring my PC and setting up my desk alone in an office on my first day was just some of the many realities I had to face. The website contains all the content from the magazine and can be searched free of charge. Find out more about my personal experiences of setting up a recruitment company below. Dr Leah Totton wins the 9th series of The Apprentice and receives a cash injection of £250,000 for a 50:50 business alongside Lord Alan Sugar. We’ve all been glued to the TV for 12 weeks now and last night the winner of The Apprentice 2013 was announced as Dr Leah Totton. I know a lot of people will say this (as they did with me) but I had my eye on her since the very first week! I am sure you will ask why - well read on. I had my eye on Dr Totton as when the candidate profiles went to press the week prior to TV I was intrigued to see a fellow scientist enter the grueling business process. I knew how tough it was for me so I wanted to see how well Leah would perform and being a Medical Doctor I was even more fascinated to find out. Curiosity to one side, like most offices up and down the country we ran an office sweepstake here at HRS and I had picked Leah as my candidate to back. So you can imagine how delighted I was when I was sat in the studios of You're Hired to find out Leah had been crowned as the winner. Leah was an exceptional candidate throughout the process and a well deserved winner in my opinion. Somebody I am happy to step down as the winner of the 2012 show and pass the prestigious baton over to. You could not make this up - an Apprentice Winner picks at random the next Apprentice Winner! I am really looking forward to seeing another Scientist embarking on a career in the commercial sector. Dr Leah plans to offer a variety of skin treatments at a chain of her own clinics and hopes to raise the standards of the beauty industry with her medical credentials. I appreciate her aspirations, as similarly I hope that through my own ambitions I can make a change to the landscape of science recruitment and make a positive difference to the industry. So what advice can I give to Leah? And what advice can I give to anybody else thinking about setting up their own company? Do you have an idea for a business and think there is a market for it? Have you invented a product you think people will want to buy? When starting a business, this is only the start of things you will need to consider. So what advice can I offer? It’s really important to research your market and identify potential customers. Why not talk to them and find out if there is a need for your idea? Developing and planning your product or service with real people is very important. These people may well be your future customer base, so keep doing this until you are sure there is a demand for it. It’s also very important to find partners and suppliers you think you could work with to develop and sell your idea. Setting up your business doesn’t happen over night, it can be a lengthy process. So make sure you consider and understand which legal structure is right for you. Finally, the big one – get funding! There are many different sources of business finance, from bank loans to government-backed schemes. Going on The Apprentice is not an option for everyone, so make sure you explore your options and do your research! And write a business plan! If you are somebody who comes up with ideas every day - then put it in to a detailed business plan focusing on key areas including the important who, what, where, why and how (think about risks, costs, financial projections, who will help you to get there etc). You will be surprised when you start writing it all down how much you realise you don't know, need to know and also how realistic what you want to do actually is. Don't think about asking for investment without a well thought about business plan or you may have a character like Claude Littner coming down on you like a ton of bricks (deservedly). I speak from experience when I say building and establishing a new business is not an easy task; it takes great deal of commitment, drive and dedication, to not only survive but to stand out in a very competitive market place. Are you prepared to spend most hours of every day, and pretty much every day of the week to make your business plan become a reality? In the past 12 months I have had to make sacrifices all of which I would do again in a heart beat if I went back in time. This includes ending my wrestling career which I did part time as a hobby but it was a logical and reasonable sacrifice to make. My advice is be prepared to make sacrifices as if you are not committed to putting every ounce of your heart and soul in to the company then it may fail to launch. If my first year of HRS went exactly as my business plan said I would be laughing right now. The truth is hiccups will happen on the way, but it is how you deal with them that counts. I don't look at things as problems, I see them as challenges. Something which excites as I want to overcome it. Do not change the person that you are. From watching Leah on The Apprentice she came across as a very methodical, dedicated and ultra passionate professional - all the things which I know will make her new business a success. Some people may have commented to say she came across as cold at times (I never said this for the record) - but trust me if I need to see a Doctor I would rather them come across as being some what clinical in their manner then like Louie Spence! When working with your new business partner continue to be articulate, focused and passionate about raising the standards in your industry. Lord Sugar invests in people who care, commit and people who want to make it happen. Lord Sugar has an excellent eye for detail, can identify risks quicker then I have ever seen and will speak open and honestly about current topics and the journey ahead. This for me is refreshing and makes our company Hyper Recruitment Solutions fast paced and is a key reason why we are expanding quicker then we first excepted. You may be knowledgeable about your sector as I am with mine (science recruitment) but trust me there is no such thing as trying to pull the wool over your business partner's eyes. Lord Sugar is the real deal and deserves the respect he has spent his entire career building up. I am happy to justify saying this as working with him over the last year I cannot believe how much he knows about my sector after never working directly in the services industry. An open and honest relationship will build a successful business. I am living proof that if you set out to achieve your ambitions, with hard work, commitment and long hours, they really can become a reality. So my advice to anyone who is thinking about setting up a new business, is to follow your passions, my advice above, and you will no doubt reach your goal. With this said there are still many more long days of hard work ahead for us before we make Hyper Recruitment Solutions the successful business that all of us in the company aim for it to become one day. I have loved every minute of the first year of my company. Did you know you can find HRS on Facebook, Twitter, LinkedIn, Google+ and YouTube? We use our Twitter account to promote our company as well as a way to interact with our followers on a daily basis. In the space of one year our number of followers has grown to over 8, 500 that's pretty impressive right? So why should you follow us? We post new jobs to Twitter everyday and regularly tweet useful tips and advice on the recruitment process itself –including everything from CVs to the interview itself! What’s more, we like to keep our loyal followers engaged in the world of science, so we make sure we post a science fact every morning! As if that wasn’t enough, every Friday we run a weekly prize draw, whereby one lucky follower has the chance to win a science / technology themed prize! Whilst we are on the subject of prizes, to mark our one year anniversary, we are running a month-long competition, where one lucky follower will win the new BlackBerry Q10! To read the full Terms and Conditions and details on how to enter, click here. Along with our Twitter content, all of our blogs are posted to our company Facebook page. Our weekly blogs will keep you up-to-date with our latest company developments as well as with what’s happening in the science and technology markets. Our Facebook page is a great way for you interact and communicate with us and get in touch. 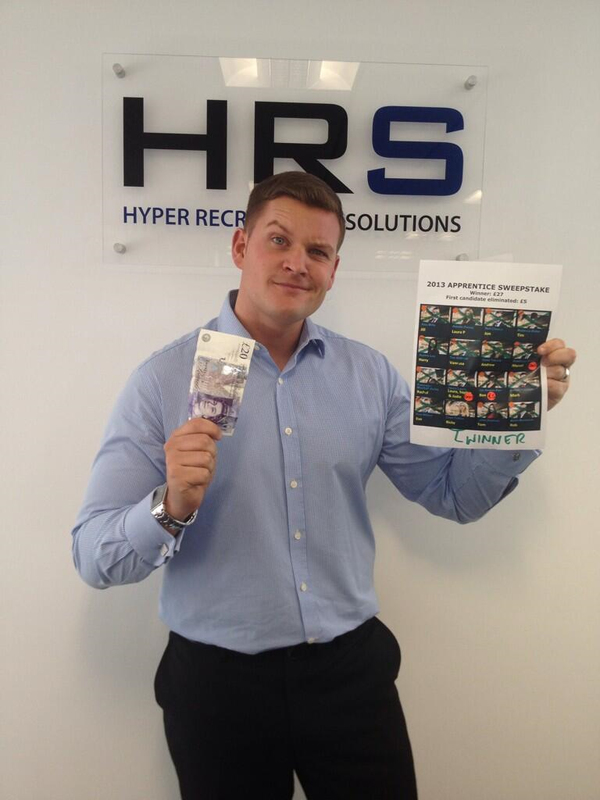 Don't forget - if you enter our prize draws, remeber to ‘like’ our Facebook page as well as follow us on Twitter. So make sure you visit our Facebook page regularly and keep an eye out for those instructions on how to enter our competitions! Did you know? YouTube has now become the second largest search engine after Google, but what does that mean? It means that people are going to YouTube not only to find answers to their problems but to see them! Instead of reading the information, most of us would much rather watch it. So with this in mind, we recently launched our very own YouTube channel to keep you up-to-date with the latest developments within our company. What’s more, this site will eventually provide useful videos to help you successfully secure a new job within the science and technology fields. These videos will include, working with recruitment agencies, how to write a CV, preparing for a job interview and much more, so watch this space! We’ve just uploaded a new video so check it out! We want you to get to know the people behind the team! Here at HRS we are always happy to help you, so why not get in touch at least you will know who you are talking to! Why do we have a Google Plus business profile? Well it’s owned and operated by Google of course! Most of us use Google for everything these days, so by having a Google Plus account, we are increasing our numbers of highly targeted visitors from Google’s very own search results! Similar to Facebook’s ‘like’, Google has “+1 votes”. The more +1’s your pages and posts gets, the better. So, why not check out our profile and give us your vote! We regularly post content on our Google Plus account. Every article we share creates a link back to our website. We not only share content, but re-share content to our community. It’s a great way for us to be involved with our circles and increases the chances of our content being shared withitn our circle of influence. You can find out more about me and HRS in the About section on our profile page on our Google+ profile page. With over 120 million users worldwide, LinkedIn is not merely a social network aimed for business users, it’s an online network of influential people all over the world. Moreover, LinkedIn essentially brings business people together in a new and unique way. Our Linkedin profile has certainly helped us to build a network of useful contacts. Similarly to our other social media accounts, we regularly post content to keep our followers up to date with the latest news - not just from within our company but the science and technology markets. So why not connect with us through Linkedin, find out what we’re talking about and join the discussion! 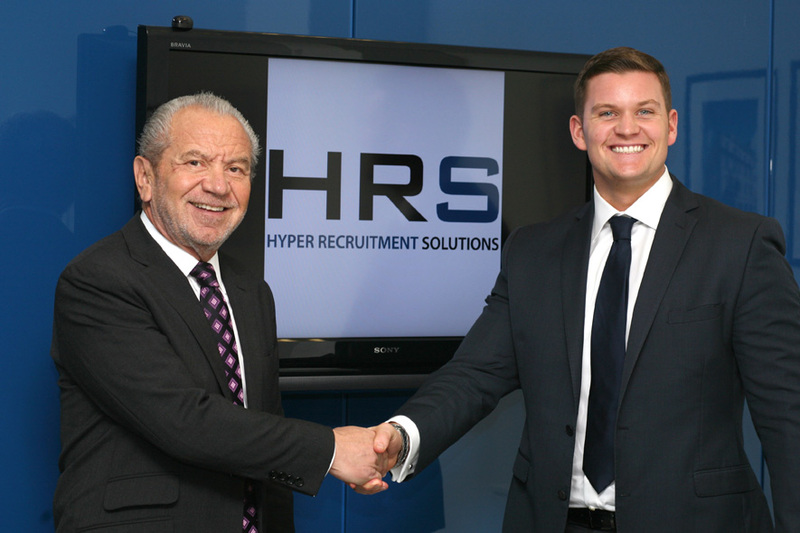 Ricky Martin and Lord Alan Sugar are expanding their Science and Technology Recruitment Consultancy, Hyper Recruitment Solutions (HRS). "Our vision is to provide recruitment solutions which will assist in the improvement and quality of life for all. We aim to provide a service to areas of actual need which have an impact on us all." Here at HRS we recognise that each of the specialists skill sets that we support can be very intricate and can differ from one to another. This is why our highly professional and knowledgeable team of consultants have either come from industry or academia making us a collaboration of scientists supporting science. Therefore, naturally we welcome applications from recruiters who want to be a part of a company who are looking to raise the standard in professional recruitment within the Life Sciences industry. With a vision to expand our team, we are currently looking for people with the drive and flair to create a new technical recruitment desk across the scientific arena at our Loughton office in Essex. This will be a desk which has the ability to grow and provide an opportunity for the successful candidate to potentially become the leader of that team. The successful candidates will have a strong focus on delivering high standards of recruitment excellence whilst working towards the core HRS visions and values. Recruitment professionals with the aspiration of developing something that they really are a part of is encouraged throughout HRS. So, if you are driven by generating new business, enthusiastic about developing long term relationships with a passion to succeed, then this is the role for you! In our opinion there is no better way to support science jobs / science careers than by having a recruitment consultant who is a scientist themselves. For that reason we encourage commercially driven scientists, ideally with experience in recruitment, to get in touch to see what opportunities we have for you. To find out more about the role and how to apply, click here. We look forward to hearing from you!